“The reasons women switch to cloth can be varied, but here is a list of pros and cons collected from other users comments as well as my own list. Some are major things, some are more minor, and to be fair I’m listing the cons too….even though I don’t agree with them all. If you want me to add to this list, contact me and I’ll be happy to. – Cheaper than disposables in the long run. – Much Less waste for you to throw away. – Less waste formed during manufacturing. – Reusable (better for the environment + saving you money). – Always on hand – Never “run out” and have to make the dash to the supermarket to get more. – Feels softer than plasticky/papery disposables. – Tends to be less “sweaty” feeling than disposables. – May lessen the chance of getting thrush (than using disposables). – Not giving money to large companies. – Supporting WAHM and other small businesses. – Can help women get in touch with their bodies and view menstruation in a more positive light. – Can buy a variety of different styles and shapes to suit your preference and needs. – They come in bright colorful fabrics, which makes them more interesting. – Can be available in natural and organic fabrics. – Less chance of causing skin irritations as they don’t contain the chemicals found in disposables. – No adhesive strip to catch pubic hair. – Soaking/washing water makes a good fertilizer for plants. 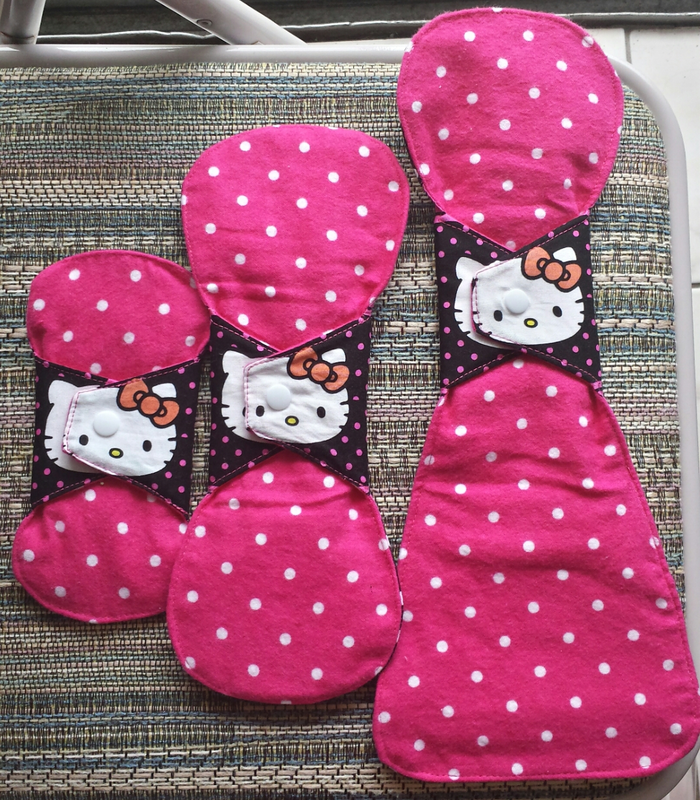 – Can wash them in the washing machine with any load of laundry. – Various options of absorbency means you can use whatever is appropriate for each day. – Many styles can be tumble dried. 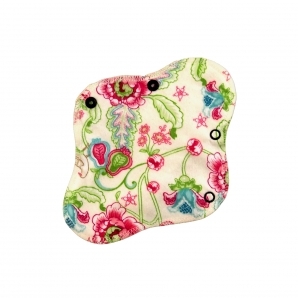 – Some styles have waterproofing sewn in, so can be as leakproof as plastic disposable pads. – Some styles have no synthetics to be as breathable as possible (less “sweaty”). – Can be purchased online from numerous places, and some brands available in stores. – Some styles (usually synthetic topped) can resist staining, and some users find no problem with staining anyway. 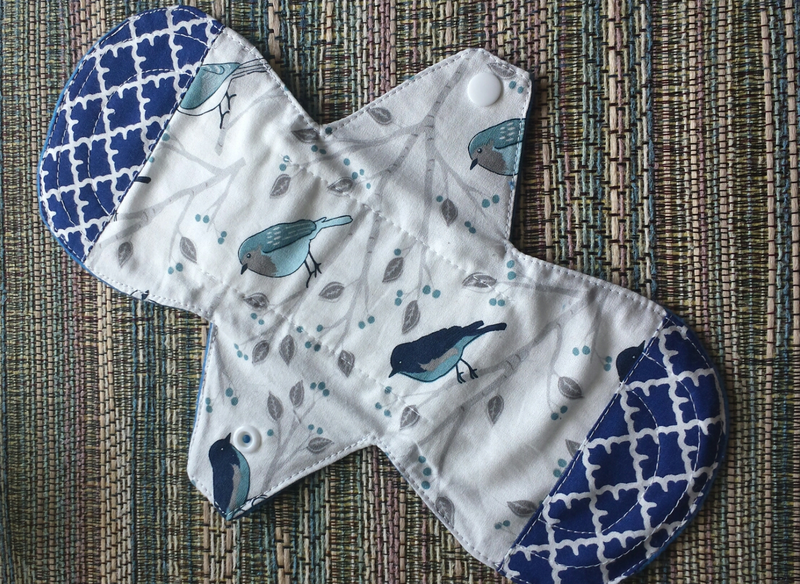 – Some women find they are more likely to change their pad more often with cloth, as they don’t have to worry about “wasting” a disposable pad. 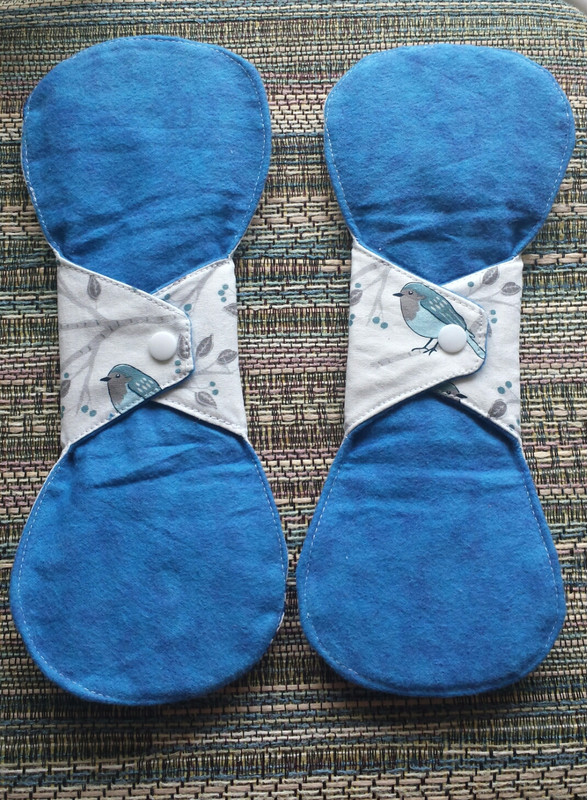 – Some women notice less smell when using cloth pads. – No bin of smelly wrapped used pads sitting in the toilet/bathroom. – Can be more absorbent than disposables. – Some women find reduction in length or heaviness of periods, or reduced cramps, clotting etc. when using cloth. – Easy to make yourself. – Takes time to wash and dry the pads compared to throwing away disposables. – Handwashing can be time consuming and difficult (though you can machine wash them). – Are more expensive to purchase initially. – Usually bulkier than many “ultrathin” style disposable pads. – Not as easily available (not stocked in supermarkets). – Many women find the concept unpleasant. – Other family members may be uncomfortable with their use. – Cloth pads can stain. – Users have more contact with blood. – Special care may need to be taken if the user has thrush or blood diseases. – Using disposable pads is quicker and easier. 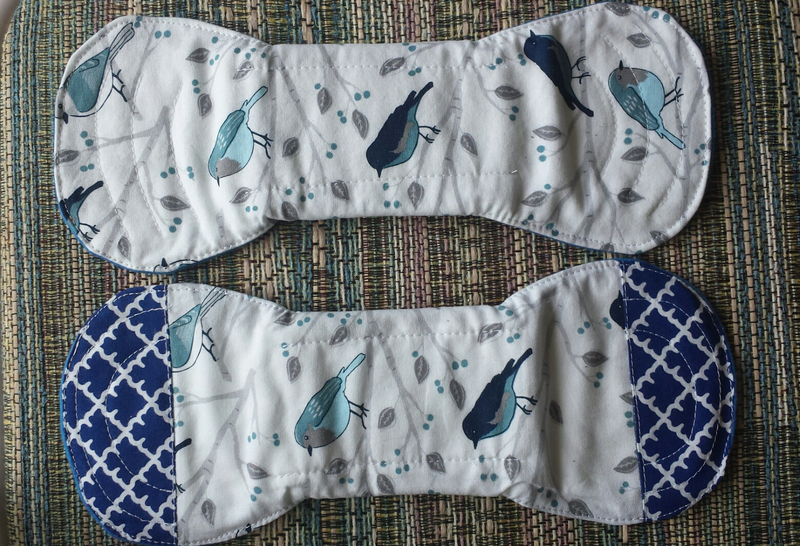 – It is generally more socially acceptable to use disposable pads. 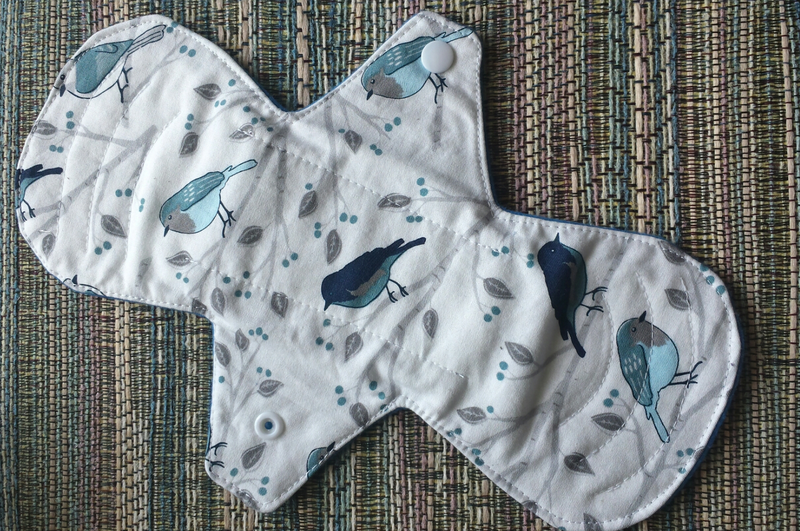 – Disposable pads may be more discreet (smaller) than carrying around cloth pads. 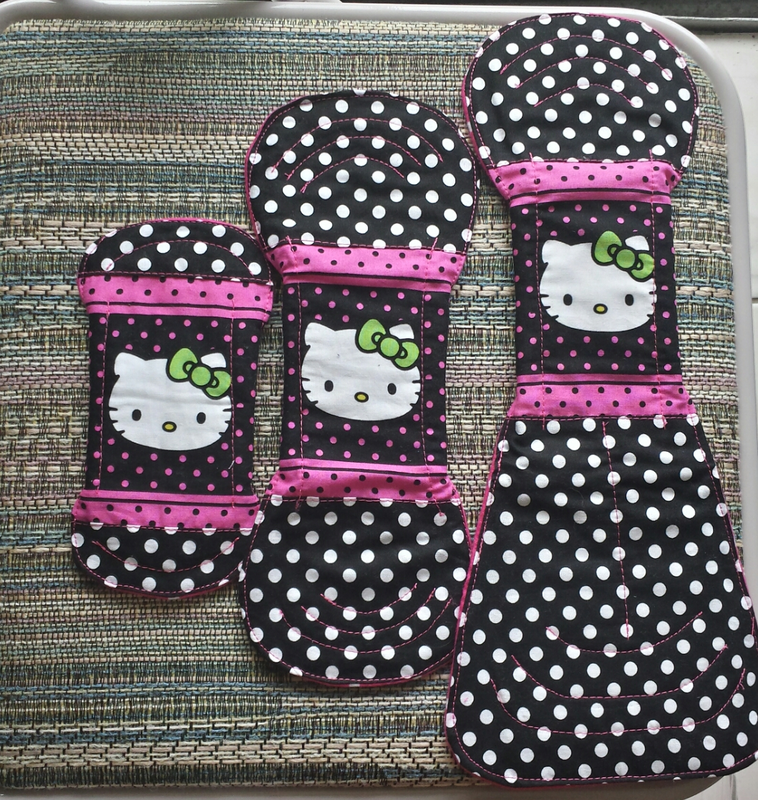 – You have to bring your cloth pads home with you if you change them while out. – Pads soaking in a bucket of water could pose a drowning risk when small children are around. – Many women would not like the added complication of caring for menstrual pads.